If you haven't visited the lake recently, you should. It is looking great, water rippling and glinting in the sun, fish darting everywhere. Even if you are not a birder, you cannot miss the birds - Coots, Swamp Hens, Kingfishers and more, but it takes an experienced hand to spot the chicks. 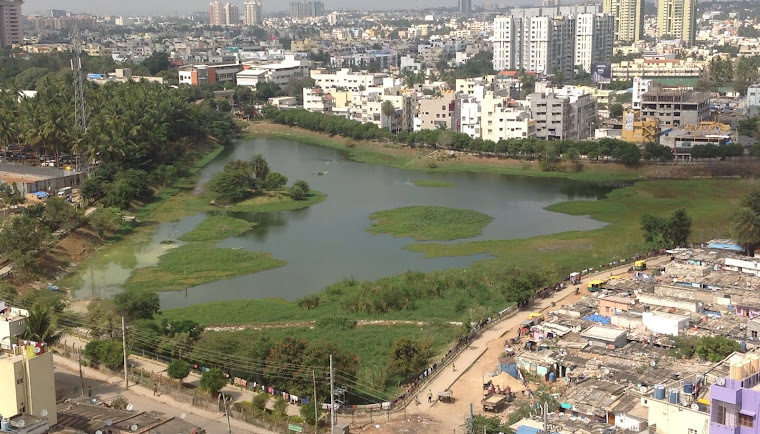 Here's the latest report and pictures by our "resident birder," Madhurima Das, who visits the lake every weekend to do a census on the birds at Puttenahalli Lake. At the lake this Sunday (7th May) there were many birds. Besides our usual suspects, we had both purple and grey heron, a little egret, little cormorant, a common moorhen and 2 spot billed ducks. The bronze wing jacanas, and a night heron, brought out their respective chicks. 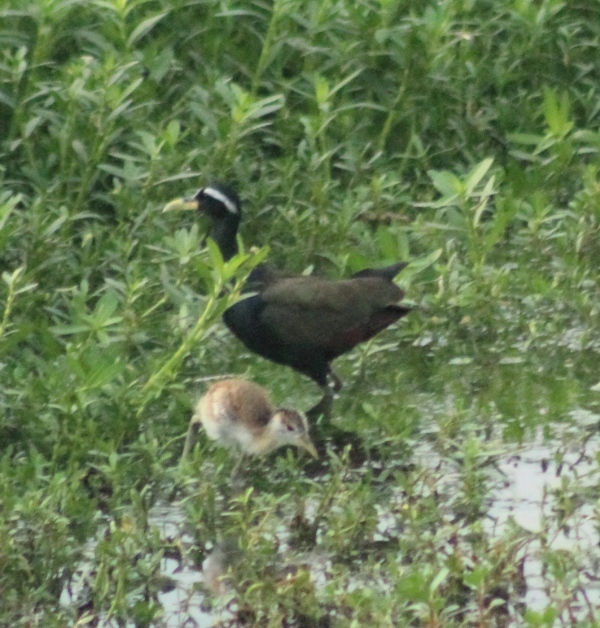 There was also a third bronze wing jacana which was being chased around by the chick's parents. The jacana chick also attracted a brahminy kite, but, luckily for the chick, it wasn't caught. There were also flocks of flower peckers and tailor birds.